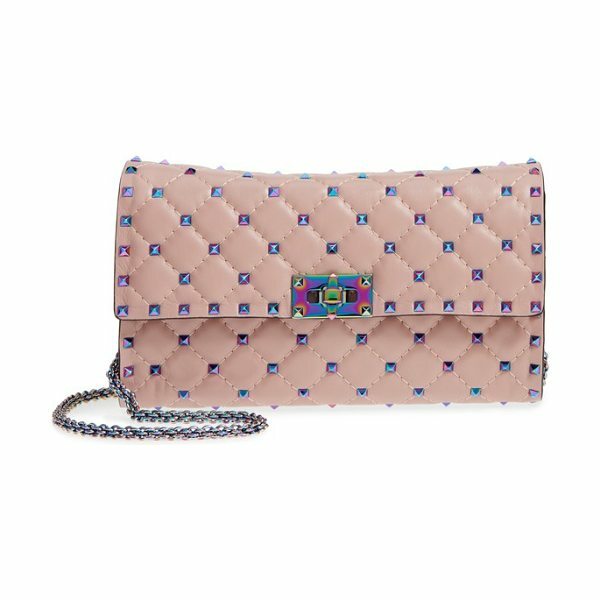 Tiny rockstuds with a colorful prismatic sheen punctuate the meticulously quilted texture of a covetable bag in supple Italian leather. 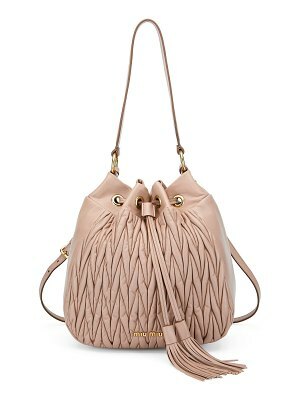 The matching chain shoulder strap can be removed, converting the style to a chic clutch. 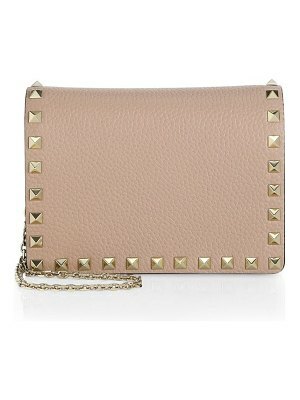 Style Name: Valentino Garavani Rockstud Matelasse Leather Shoulder Bag. 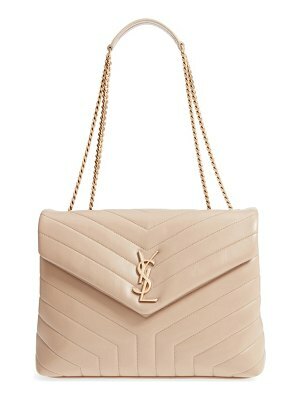 Style Number: 5511883. Available in stores.